For more information about Cloud Security, contact us! Cloud adoption continues to skyrocket, yet so are attacks targeting cloud services. What's more, traditional security approaches don't fit with the dynamic nature of the cloud, leaving businesses exposed to a whole host of new threats. Check Point© CloudGuard™, powered by the Infinity Architecture, is a comprehensive suite of products that deliver proactive protections for cloud data, workloads, networks and applications. The comprehensive portfolio seamlessly integrates with the largest number of cloud infrastructures and applications to instantly and easily keep all your cloud services protected against even the most sophisticated Gen V (5th generation) cyberattacks. CloudGuard supports a single-click and agile deployment model aligned with the dynamic nature of cloud services, making expanding your cloud services a breeze. SaaS applications deliver many benefits to businesses of all sizes, but also expose them to risks from advanced threats largely due to unauthorized access to corporate SaaS accounts. Check Point CloudGuard SaaS is the only cyber security solution that prevents cyber criminals from hacking SaaS applications. While most SaaS security solutions offer only visibility and control over application policies, CloudGuard SaaS provides complete protections against even the most sophisticated malware and zero-day threats while easily preventing account breaches. 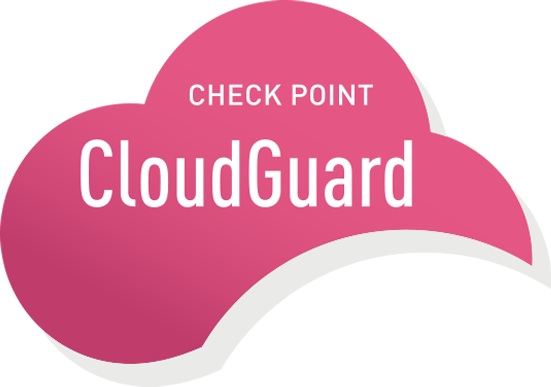 With Check Point CloudGuard, SaaS security is just one click away. Process efficiencies and increased network agility are driving IaaS and SDN technology adoption at a rapid pace. But these new infrastructures also present businesses with a unique set of security challenges. 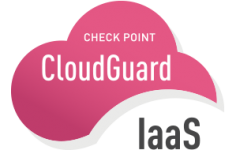 Check Point CloudGuard IaaS protects assets in the cloud from the most sophisticated Gen V cyberthreats with dynamic scalability, intelligent provisioning and consistent control across physical and virtual networks, ensuring you can embrace the cloud with confidence. Check Point Infinity is the only fully unified cyber security architecture that future-proofs your business and IT infrastructure across all networks, cloud and mobile. The architecture is designed to resolve the complexities of growing connectivity and inefficient security. It provides complete threat prevention which seals security gaps, enables automatic, immediate threat intelligence sharing across all security environments, and consolidated security management for a powerfully, efficient security operation.